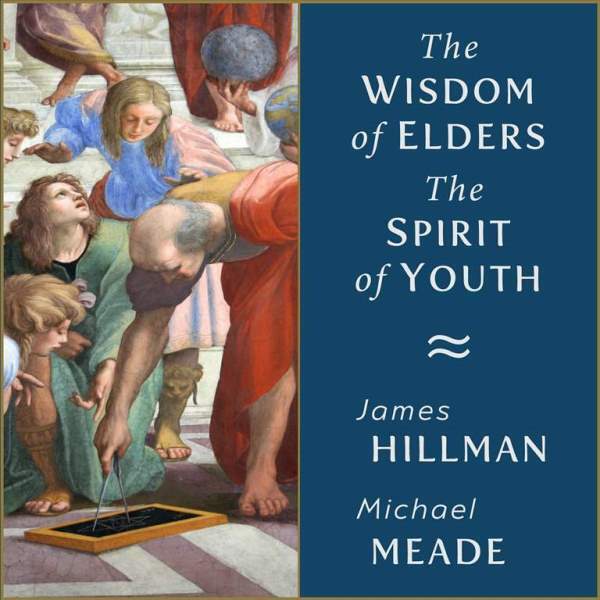 Using surprising ideas and wit, along with mythological and psychological insight, Hillman and Meade look behind the great conflicts and divisions of modern culture and uncover hidden connections between youth and elders. Using the psychological complex of the “puer and senex,” the speakers create a dynamic field for understanding the youthful flights of spirit and the grounding wisdom of the wise old sage. A collection of traditional songs of longing, grief and praise used by Michael Meade and Mosaic at healing retreats and community-building events. With myths and stories from various traditions and examples from work with at-risk youth and at-risk communities, Meade makes sense of genius. This set draws upon myths and wisdom traditions from both the East and the West to find and mine the ancient "roots of wisdom." This set addresses the issue of change from the depths of the soul. Themes and stories range from the deeply personal to the broadly cultural and brightly mythical. According to ancient myths, each soul must make two agreements upon entering the world. The first binds the individual to a destiny. The second involves the limits of family, culture and time. Using the surprising Story of the Half-Boy, Meade shows how culture disintegrates into a "half-village" that rejects its youth and forgets its elders. Making the village whole requires both youth and elders. Using traditional myths, Meade shows the three steps of initiation: separation, ordeals, and the conscious return to community. Initiation is the way the soul grows and finds its unique project in life. The modern world suffers from "double exposure" as culture and nature, the "two great garments of life," seem to unravel at the same time. Meanwhile, science and religion seem to arrive at similar conclusions. When the world loses all sense and meaning, it is often "mythic sense" that is missing. Meade introduces the vital language of myth and offers an intensive study of the inner spirit and the Soul of the World. When the certainty of the world collapses around us, the danger of cynicism, isolation, and becoming numb inevitably increases. Following a Native American myth, this recording offers ways to find and sustain a "bigger life." Using an Eskimo story, The Mistress of Fire, Meade shows how solutions for both personal and cultural problems require the sacrifice of our unconscious, infantile attitudes that sustain narrow self-interests. This recording follows the ancient story of a spiritual seeker who encounters the god of creation and learns that knowledge can be a burden. As the seeker grows into a true Disciple, he learns to trust one's deep Self. This lively presentation presents Meade’s ideas of a Slow Apocalypse that can lead to a radical renewal of culture and nature rather than an apocalyptic ending of the world. Following the tale of how the Old Salt Woman brought peace, Meade explains that “peace” means agreement, and that any lasting peace must begin with agreements fashioned within the human soul. A diverse and dynamic group of authors, teachers, and cultural activists offer each listener an invitation to imaginative activism and an active imagining of cultural healing and change. These rare and exclusive recordings capture vital insights and offer surprising wisdom that is as striking, imaginative, and transformative as it was when these recordings were created. For those who have enjoyed Michael Meade’s work for decades, these newly re-mastered recordings offer the opportunity to rediscover classic works by this master of storytelling. Available as digital exclusives, these new offerings are not to be missed. 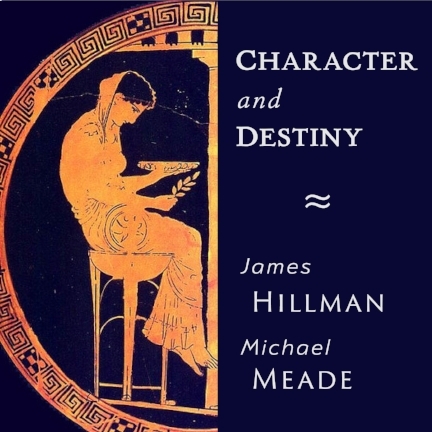 Using surprising ideas and wit, along with mythological and psychological insight, Hillman and Meade look behind the great conflicts and divisions of modern culture and uncover hidden connections between youth and elders. Using the psychological complex of the “puer and senex,” the speakers create a dynamic field for understanding the youthful flights of spirit and the grounding wisdom of the wise old sage. This classic recording leads the listener into the necessary search for truth and beauty and the need to connect the individual soul to the living earth and the soul of the world. Beginning with a humorous and insightful view of the three realms of the literal, the psychological and the mythological, Hillman and Meade launch a rich and inspiring consideration of psyche and imagination. Topics range from the types of eros to the modes of healing, from the fall of the patriarchy to revisioning the feminine. Throughout this wide-ranging recording, Hillman and Meade trade roles of psychologist and mythologist, being pulled on and on by the wild images of an old Russian fairy tale. Why do men not have what they most desire? Are they so out of touch with themselves that they don't even know what they desire? This iconic recording gives a good sense of what happens when poet Robert Bly, psychologist-author James Hillman and mythologist Michael Meade work their magic together. While focusing on "The Firebird," a Russian fairy tale about power, love and danger, these remarkable speakers draw on poems, stories and their own wisdom to inspire each other and offer penetrating insights into the soul and spirit of man. The trajectory of a life - who can know its course? Even the gods go blind in the territory of the fates. Yet, each person feels the presence of an inexorable force living through them and each at times can sense the pull of destiny - something that must be done, no matter how strange, dangerous or odd. 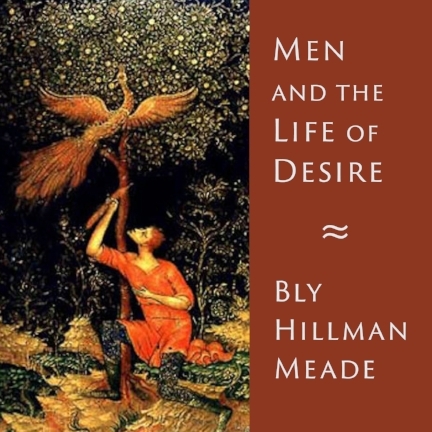 Listen as psychologist Hillman and mythologist Meade undertake a compelling and historic exploration of the mysteries and meanings encoded in our souls, and into the nature of the longings set within our hearts. Join a live audience and five extraordinary teachers in this lively, fascinating dialogue about mentoring youth, awakening inner genius, and developing a community that can save lives and bless the genius in each soul. Using the amazing and inspiring Story of the Half-Boy, Michael Meade proposes that the path to living a full and meaningful life involves throwing yourself into the field that your soul would have you work and grow in. At the same time, the troubles we encounter in life turn out to be the pressure needed to crack open the shell of the self in order that the inner genius and the seed of life might blossom forth from within. Join story-teller Michael Meade as he uses two African folktales to open up and consider the age-old complexities and intricacies of father and son relationships. Listen in as father and son test each other, “hunt the spirit” of each other and try to find the sweetness that secretly, elusively binds them together. In this newly re-released audio recording mythologist Michael Meade tells two African stories that deal with the experiences of young males encountering the Great Feminine energies in the world. The ancient tales focus upon the “mother complex” in a boy that becomes activated when the time comes to leave home and when the opportunity arises to have an independent relationship with a woman. When life seems uninspired, meaningless or stuck it is time to seek again for the Water of Life and only the youngest, most honest and spontaneous part of our soul knows where to look. Follow the adventure as Michael Meade uses stories and poems to release the flow of great ideas and rich imagination that are the true inheritance of the soul.